the episode the creator of a fictitious web series turns our rag tag group of moderators into a yammering, pathetic fruit cocktail. 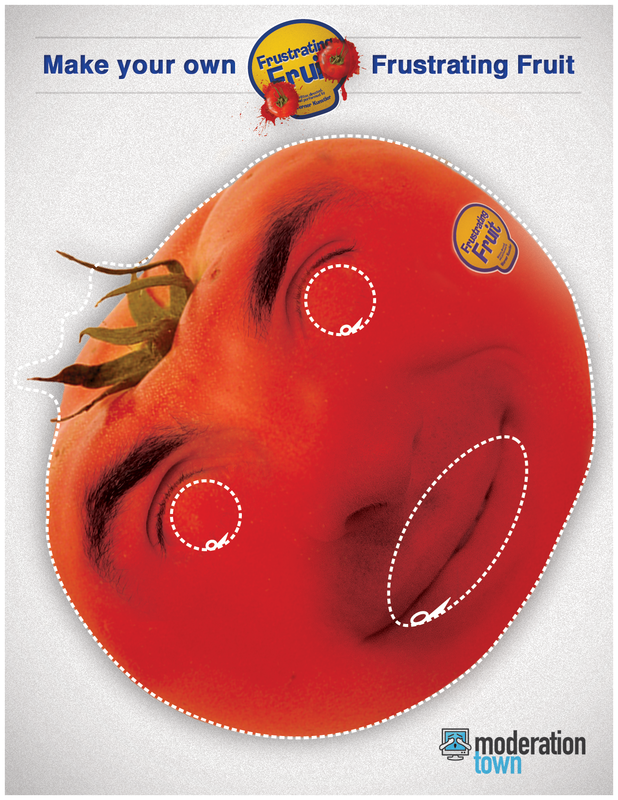 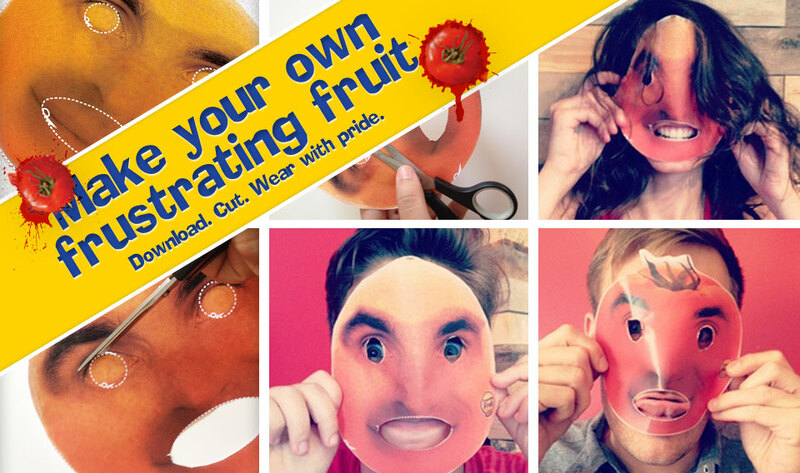 Now you can become a member of the Frustrating Fruit gang with our handy cutouts. 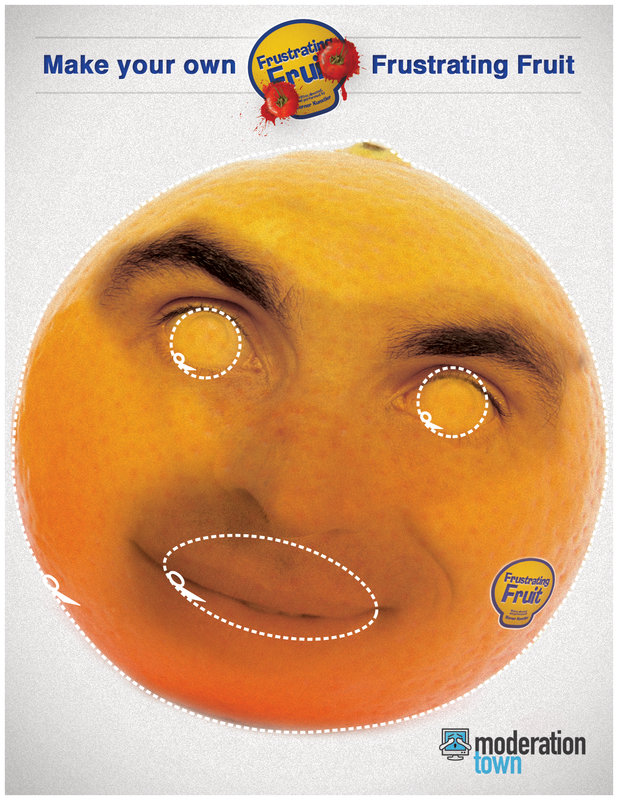 Just print out the masks provided below and cut along the dotted lines! 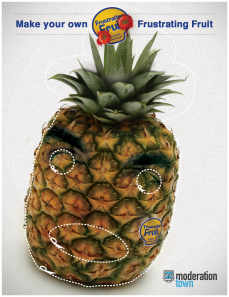 Post a photo or video of you wearing your Frustrating Fruit mask to our Facebook page, or tweet us at @moderationtown.